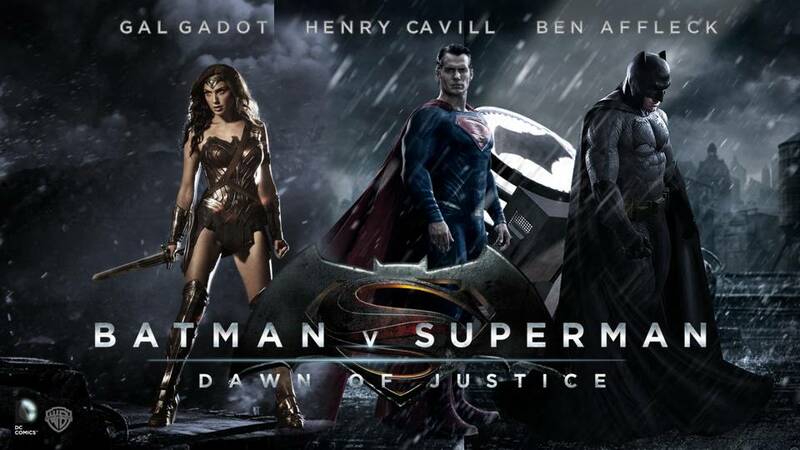 “Batman v Superman: Dawn of Justice” is the second movie after “Man of Steel”, that premiered back in 2013, as part of DC’s Extended Universe. DC follows in the footsteps of Marvel with this, Marvel being well ahead with its stories already, hoping at least for an equal amount of box office success and popularity. After two movies and with many to follow, such as Suicide Squad, Wonder Woman and at least two Justice League movies, things didn’t really come out as expected: “Man of Steel” came out with mediocre reviews while BvS suffers much more after critics basically slammed it, its misfortunes being emphasized as much as everyone expected this movie to be a great one given that we have a new Batman played by Ben Affleck. Someone else that is played by a new actor is Bruce Wayne’s butler and close friend Alfred, now played by Jeremy Irons. Henry Cavill and Amy Adams return as Clark Kent and Lois Lane respectively. This movie is supposed to be in preparation for the Justice League movies that are about to follow in the next year. But it also obviously is a chance for Batman and Superman to engage in a battle, as the title suggests, that I dare say it’s useless (in the context of this movie) and equally entertaining if you are into those kind of scenes. We are introduced to Superman’s main enemy Lex Luthor who is the one that gets Batman and Superman into the situation that requires show off of strength. For me this movie was mostly a blur and that was because I am not familiarized with the real stories of Batman and Superman. I guess it all might make more sense if you knew them before watching the movie. I saw the previous Superman movie (which kind of bored me) and I cannot remember much of it. BvS gives you a bit of context as to why Batman is so against Superman. It shows the big fight from the end “Man of Steel”, where apparently Bruce Wayne was present because he was called to his office building there to help save people and was a witness to the collateral casualties of that fight. There are also a bunch of things thrown at you, information to hint at future movies and developments of the story that, as a newbie, were confusing to me and needed “decoding” by means of Google after seeing the movie. Given that the story was a bit too all over the place, the movie didn’t sit well with me. I like a movie to be enigmatic but with a clear purpose that is later revealed. I do not like being thrown into a blur because the writers got into too much story wise. Also, I didn’t get attached to any of the characters, did not care for them, although the movie begged for it: we are shown how Bruce Wayne lost his parents and how affectionate and caring Clark Kent is. Besides that, we get no depth regarding these characters that are so important in this DC Extended Universe. I needed more context, background and more explaining as to why are Bruce Wayne, Clark Kent and even Lex Luthor motivated to do what they proceed with doing in this movie. Don’t get me wrong, the movie is visually impressive and did do a good job presenting us with Diana Prince/Wonder Woman, played by Gal Gadot, who will get a standalone movie to explain her origins, which I am very excited about. I also even liked Lex Luthor as played by Jesse Eisenberg, even though I do not especially like this actor but his renditions of not so nice guys are very spot on. I do not mind that the tone is darker, much sober and is in such contrast with the Marvel movies that are more entertaining using more humor regarding the character dynamics that got much praise and made many people like them. I like DC being darker because we need it to be different in order to clearly distinguish themselves from Marvel. But in my opinion they need to do it with more coherent stories, that flow more easily, that give depth and complexity to their characters, getting them closer to us and easier to empathize with even if we do not exactly like them, but to ensure a wish to see more of them as the DC world is only starting to get bigger and many people are just starting to get familiarized with it. Did you see „Batman v Superman”? Următor What makes a book good?